COUNTRY LOG CABIN: DESIGN WALL, ETC. I took a couple pictures of my design wall to prove that I'm working on some things. 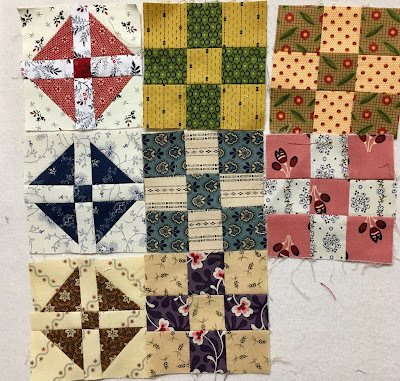 This first one is the blocks for Temecula's Quirky Little Quilt Along. I thought the blocks were so cute, and decided to make them. 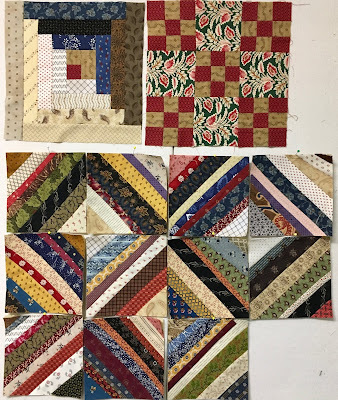 I made the first three and the second set of 5 9-patches were from a block trade that I participated in a couple years ago. I still haven't used them! (Shame on me). The top 2 blocks in this second picture are BOMs for my quilt guild (meeting this morning) and are 9 1/2" blocks. We will keep the blocks for ourselves and then make something with them. The string blocks, of course, are for Lori's String A-Long. These are 6 1/2" blocks. Saturday, I was a vendor at Farm Fest held at the Yamhill Valley Heritage Center in McMinnville, OR (my town). This is half of the booth. It turned out to be pretty successful for me. Yea! 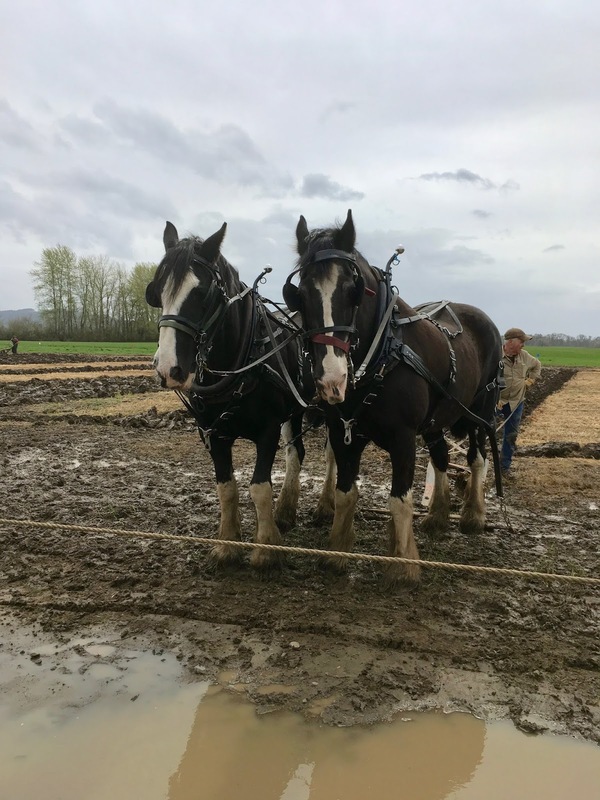 The main event for Farm Fest is the plowing competition using horses. In fact, it was the 53rd annual plowing competition and I wish you all could have seen it. 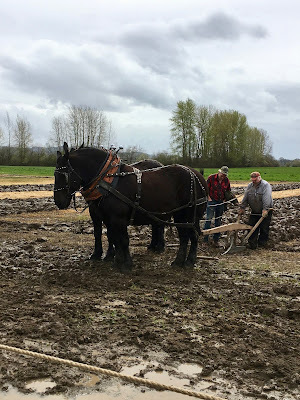 The horses are amazing and it was very muddy. It had been raining a lot last week and also rained most of the morning on Saturday. But that didn't deter anyone. After all, this is Oregon! You can't cancel anything due to a little or a lot of rain. You can see the mud puddles in the pictures. I think it probably rains for this event every year. 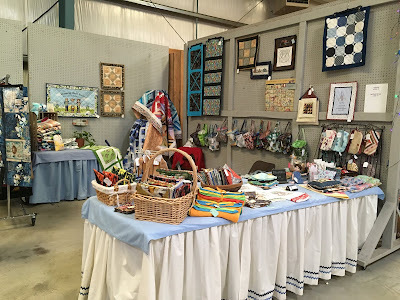 This was my second year to be a vendor (indoors, thankfully) and it was raining and hailing last year. Your little blocks are very nice, but your booth is beautiful! No wonder we haven't been hearing much out of you lately! There's a lot of hours displayed there. I'm sure you are enjoying every minute there. I feel sorry for those horses, but indeed they are built for such activities! ---"Love"
I like each and every block you shared here. Glad to hear you did well at the show and the competitions sound interesting to watch. I heard you are expecting lots more rain in the next week, so more puddles in the future. All of your blocks are so pretty, love the fabrics! 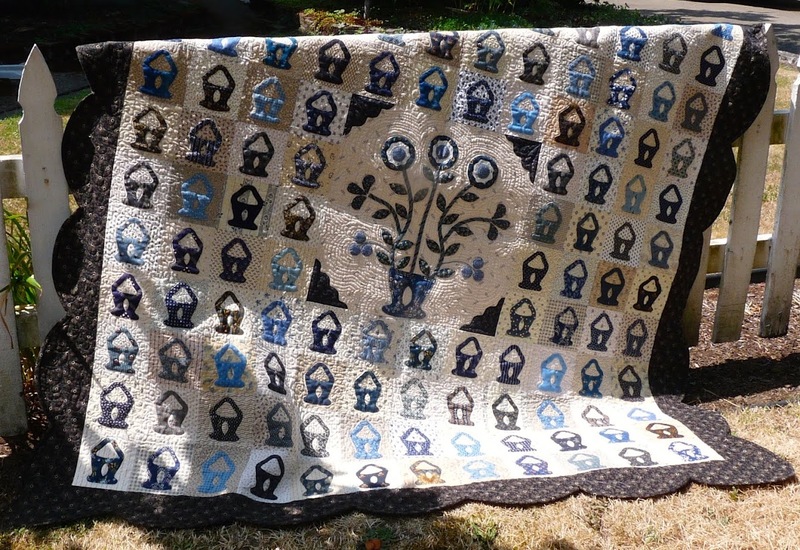 Hi, Ruth, I just stumbled onto your blog and wanted to say how beautiful the Blue Baskets Quilt is that you are using as your header. I love it!!! 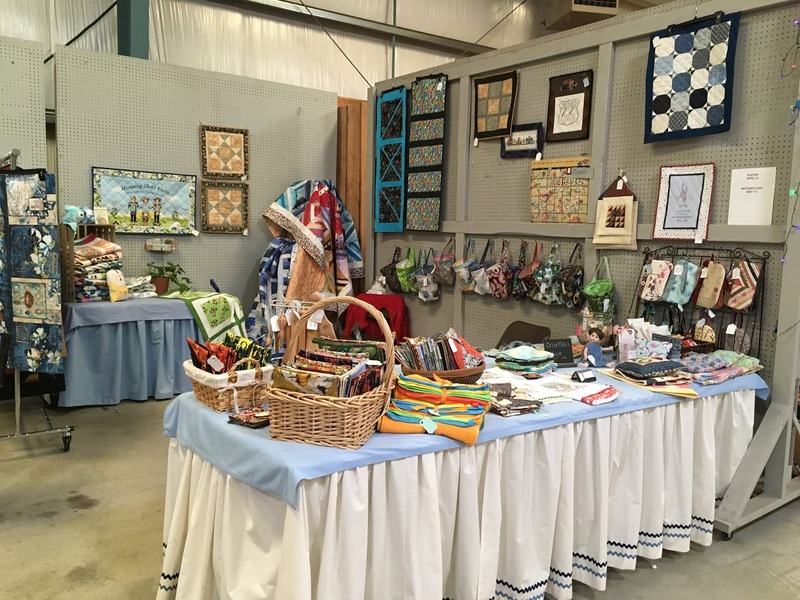 glad you had success at the fair your booth looks great.